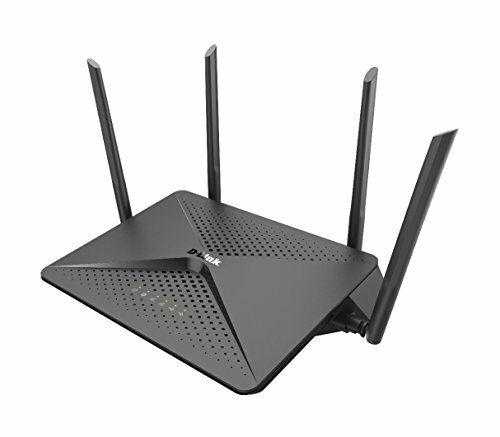 This is an AC2600 Wi-Fi router, meaning it supports the current 802.11ac standard and has a total bandwidth of 2,600 megabits per second (Mbps) across its two networks, on the 2.4 and 5GHz bands. Read our D-Link DIR-882 EXO AC2600 Review. 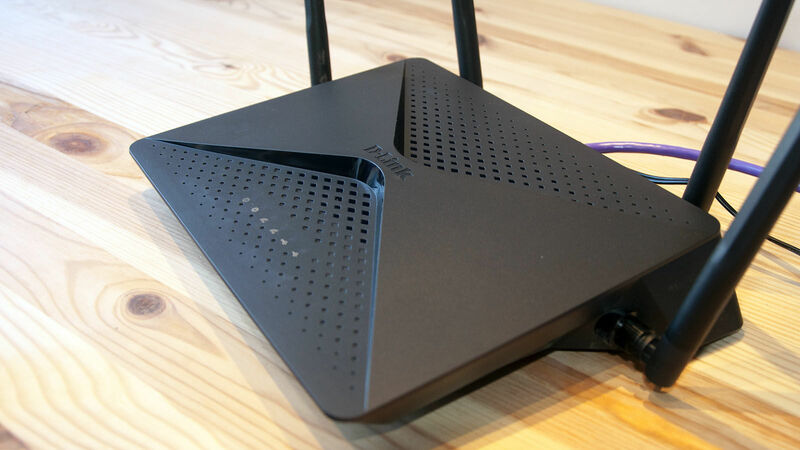 Real-life speeds are never that high, nor can the EXO AC2600 match pricier routers that quote the same bandwidth. 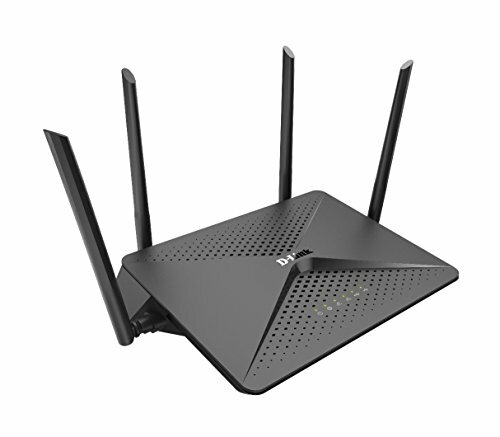 That’s why we test routers to see how they compare in use – although performance in your own home will vary. 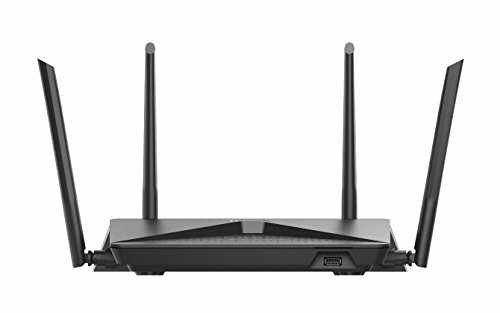 The EXO AC2600 has no built-in DSL modem, so it’s ready to connect to the modem installed by a cable provider (such as Virgin), or can be used with an ADSL or fibre connection if you can switch the existing router to modem mode. 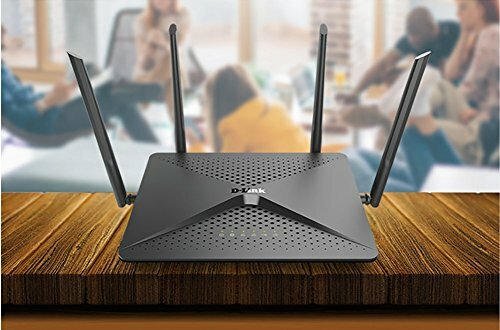 It has Gigabit Ethernet ports for PCs and other devices that have Ethernet sockets (these won’t be limited by Wi-Fi performance). 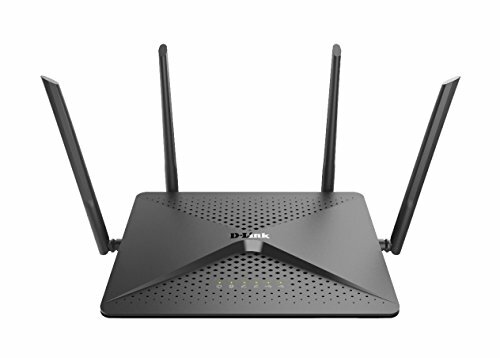 It also offers USB 2.0 and 3.0 ports to connect storage drives (but not printers) to share files across your network, and can stream to DLNA devices, such as media players that you connect to a TV. Features are limited, but the basics are nicely covered, and there’s a quality of service (QoS) option so you can, for example, prioritise your 4K TV watching over a family member’s online gaming (or vice versa). Unlike some rivals, the EXO AC2600 supports MU-MIMO to optimise connections to newer and upcoming devices. Megabits per second (Mbps) divides by eight to give roughly the number of megabytes (MB) of data you can transfer. We got 20MB per second in the next room and 10MB at the other end of the house. 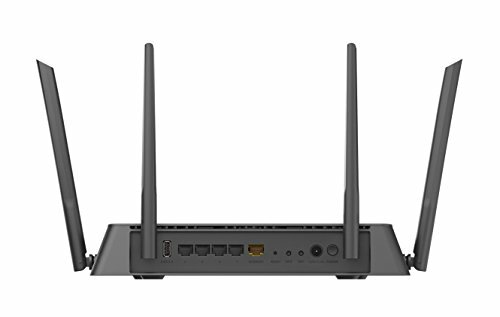 This doesn’t make it the fastest you could get, but it’s in the same league as routers costing twice as much. Few home broadband connections run at more than 100Mbps, so online tasks won’t be held back at all. A faster model would mainly help when copying or streaming files within your house. To get a reliable signal throughout a larger home, you could look instead at a mesh system such as BT Whole Home Wi-Fi.